The 15th MPH Breakfast Club on Saturday, July 26, 2008, at 11.00a.m. to 12.30p.m., will be featuring short-story writer Robert Raymer, the author of Lovers and Strangers Revisited (MPH Publishing, 2008). In this collection of 17 stories, Kuching-based Raymer portrays the traditional in modernity, the unexpected in relationships both familiar and strange, and the recurring theme of race even as contemporary Malaysia finds ways to understand its multicultural milieu. In the title story, a selfish writer gets more than he bargained for when former lovers haunt him in more ways than one. In another story, a man’s loneliness turns into obsession when he shares a taxi ride with a Malay woman. A Clark Gable lookalike is a barrister wannabe with a shocking secret and gossipy neighbours reveal more about themselves than the man who commits suicide. Elsewhere, expats cross the border to Had Yai to experience a good bargain in the Thai flesh trade before going home to their wives in America. In this republished edition of Lovers and Strangers Revisited, Raymer’s snapshots of scenes from various walks of life provide an insider-outsider view on love, family and culture, and urges a second look at ourselves in the mirror of self-awareness. Eric Forbes will be introducing Robert Raymer while Tan May Lee will be moderating the session. 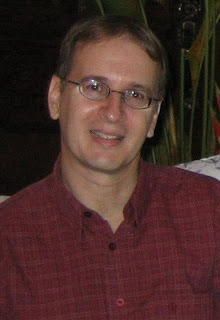 Robert Raymer was born in the U.S. and has lived in Malaysia for over 20 years. His fiction and nonfiction have been widely published. He currently lives in Kuching, Sarawak, where he teaches creative writing at Universiti Malaysia Sarawak. I'm looking forward to coming to KL and meeting you. Thanks for the invite and the write up. The feedback I've been getting on the cover is that people love it! I look forward to meeting you, too. I am glad we have got positive feedback from people with regard to the cover. I will see you on Saturday morning!